Since completion of the first sequence of human genome in 2003, genomics has shed light on the origin and treatment of cancer. It produced a list of genes driving cancer transformation and made it possible to compare the genetic makeup of different cancer types. However, there has been limited success using genomics to improve cancer treatment itself. 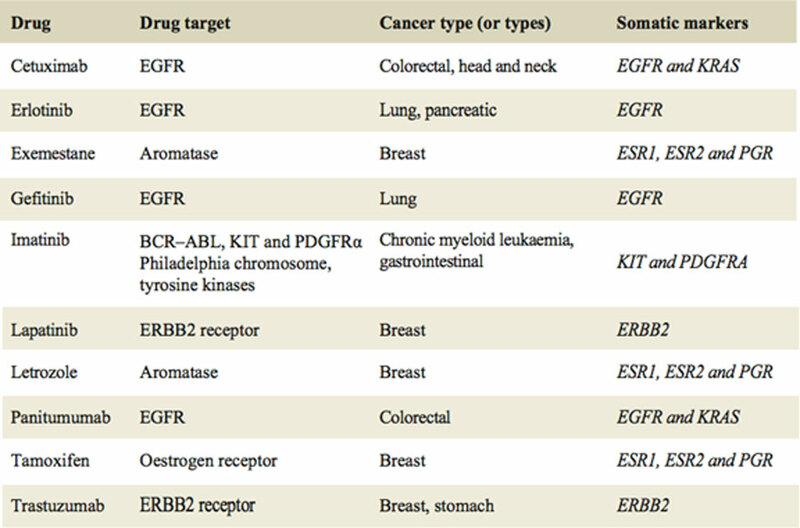 Recent research efforts have placed substantial-and arguably disproportionate-focus on elucidating biomarkers to newer biologic agents, while mostly neglecting widely used chemotherapeutic drugs. The main efforts in today’s cancer genomics are focused at generating a basic understanding of cancer, building cancer atlases and mapping potential therapeutic targets in cancer pathways. The results of such studies are expected to allow for the design of more targeted therapies, and ultimately create knowledge-driven strategies for cancer treatment. of patients for whom standard therapies will fail and succeed. These patients could be guided to alternative chemotherapy agents and treatment options, potentially avoiding unnecessary toxicity and the loss of critical time wasted by treatment using agents which yield no benefits. We are building off the work of several independent academic groups who applied retrospective analysis of human clinical trials to predict tumor response to platinum chemotherapy drugs. By correlating genomic expression and treatment outcomes, each study achieved predictive gene-expression signatures, from these “training” databases. Our research team succeeded in reproducing such calculations, starting from primary microarray data. In order to do this, we put together a computational pipeline and are building a comparative cancer genomics environment. This environment allows the comparison of multiple datasets related to similar or different cancer types and treatment regiments, thus guiding the company’s continued clinical efforts. We believe that no such environment with complex query capabilities exists today. We have chosen to base our classifiers on gene expression data as the alternative and currently adopted approach of using GWAS (genome-wide association studies) in which individual mutations are detected by whole-genome sequencing and used as a basis for predictions is far more difficult and expensive. Gene expression profiles generate a “simplified” picture of a genome, where the number of elements to look at can be reduced to a number of genes (approximately 20,000). We are likely to miss many primary events (a point mutation causing tumor resistance may not produce a detectable change in expression), but their consequences are usually from a cascade of multiple secondary changes in expression. Although these changes do not necessarily tell us how things work, they are hard to miss and easier to correlate with a property of interest or characteristic such as likely response or non-response to a certain drug. Ultimately, successful classifiers will be based on integration of many data-types, but today we believe that the use of gene expression data is both accurate and cost effective. our goal is to build genomic classifiers that will predict treatment response for a test set of patients. Our preliminary studies have shown that our classifiers use 10 - 40 distinct gene expression values and produce an above 90% accuracy in predicting response when tested in a validation set. While it is true that many researchers seek to construct/compute classifiers using only 1 - 3 genes on which to make predictions, we consider it unlikely that they will succeed in achieving similar accuracy levels. The reason lies in the underlying biology: there are multiple mechanisms that a cell may employ to produce resistance, and successful classifiers may well need to be sensitive to a larger set of unrelated genes. A principle issue generally defining the utility of expression classifiers is whether they represent prognostic markers, which generally separate hard-to-treat from easy-to-treat tumors, or whether they represent regimen-specific markers with the ability to guide treatment. In order to address this critical question, we compared the performance of various classifiers being used to predict tumor response for the same type of tumor but being treated by different therapeutic regimens. The table below shows the results of testing that we have performed using both FOLFOX and FOLFIRI predictors for patients that received FOLFOX and FOLFIRI treatment. As indicated above, when we used FOLFOX predictors on FOLFOX patients our accuracy was approximately 90%, but when we used FOLFOX predictors for FOLFIRI patients and FOLFIRI predictors with FOLFOX patients, the accuracy drops to approximately 50%. This suggests that treatment specific predictors have strong predictive capability, but only when treatment specific classifiers are matched with patients receiving that particular treatment. We believe that this data demonstrates that we have constructed a set of classifiers that each take as input gene expression values for a patient and produce as output a prediction of the patient’s response to a specific drug therapy. We develop practical implementations of genomics to target our lead drug candidate Picoplatin toward patients who will benefit from it the most. If proven, this approach will change today’s one-size-fits-all clinical paradigm in cancer therapy, and allow a choice of optimal treatment for individual patients. which we see as our mission. We believe that the use of genomics can substantially increase efficacy of Picoplatin, demonstrating its blockbuster potential. The genomic insights gained from the Picoplatin program will be used to identify new drug candidates for our company. cancer. Cancer J. 2010 May-Jun;16(3):262-72. 2. Ferriss JS, Kim Y, Duska L, Birrer M, Levine DA, Moskaluk C, Theodorescu D, Lee JK. 4. Tsuji S, Midorikawa Y, Takahashi T, Yagi K, Takayama T, Yoshida K, Sugiyama Y, Aburatani H.
Br J Cancer. 2012 Jan 3;106(1):126-32. • Use this genomic strategy as a platform technology to identify new drug candidates for us.